Input your car’s info & find the right model. Learn how to tackle a basic car-care need. 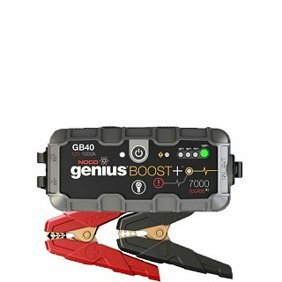 Find battery chargers & jump starters. Your car's engine may run on gas but its electrical components, including the headlights, interior electronics and turn signal lights, run off a battery. When your car's battery is old, drained or otherwise not working properly, you may experience problems ranging from a sluggish engine start to leaking battery acid or a "check engine" light on your dashboard. Many of the batteries and accessories are available with free two-day shipping or same-day in-store pickup so you can quickly get your car or truck back up and running. Car and truck batteries aren't the only vehicle battery options available. You can a find a variety of battery options for other vehicles, adding convenience and efficiency to your shopping experience. You don't have to look anywhere else for your vehicle battery shopping needs. Marine batteries: From small motor boats to large yachts, we offer batteries that can suit a large variety of boat types and sizes in a range of different voltages, amperages and dimensions. We also offer both lead acid and lithium-ion marine batteries, giving you the ability to choose just the right replacement for your boat. Some of these batteries are also designed for crossover use with recreational vehicles (RV). Lawn and garden batteries: Though they usually aren't as large as a car battery, lawnmowers and other lawn equipment have batteries that need to be replaced periodically. Our assortment of lawn and garden batteries includes those for both riding and walking electric lawn mowers. Batteries come from a range of different manufacturers, including Snapper, Black & Decker, Sears, Yard Man and Toro. Power sport batteries: Motorcycles, scooters, ATVs and snowmobiles need batteries, too, and we've got a great selection of batteries that are specially made for these power sport vehicles. Find replacement batteries for power sport vehicles made by brands including Yamaha, Honda and Harley-Davidson in this department. While you can often determine what kind of battery to buy for your vehicle by looking at what's currently under the hood, that's not always sufficient. If you aren't sure what kind of replacement battery you need for a given car, truck, lawnmower, boat or power sport vehicle, Walmart offers assistance both online and in store. Our online Walmart Battery Finder tool allows you to input information like vehicle type, make, model and engine type to determine the right battery match for your needs. It's a simple way to ensure you don't accidentally pick out the wrong battery, which can actually be dangerous to install.